University of New Mexico Press, 9780826360717, 296pp. 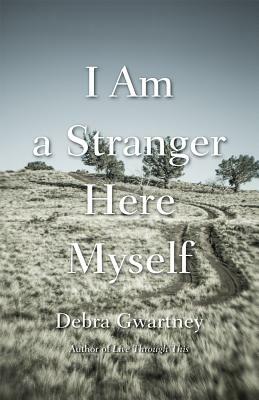 Part history, part memoir, I Am a Stranger Here Myself taps dimensions of human yearning: the need to belong, the snarl of family history, and embracing womanhood in the patriarchal American West. Gwartney becomes fascinated with the missionary Narcissa Prentiss Whitman, the first Caucasian woman to cross the Rocky Mountains and one of fourteen people killed at the Whitman Mission in 1847 by Cayuse Indians. Whitman's role as a white woman drawn in to "settle" the West reflects the tough-as-nails women in Gwartney's own family. Arranged in four sections as a series of interlocking explorations and ruminations, Gwartney uses Whitman as a touchstone to spin a tightly woven narrative about identity, the power of womanhood, and coming to peace with one's most cherished place.